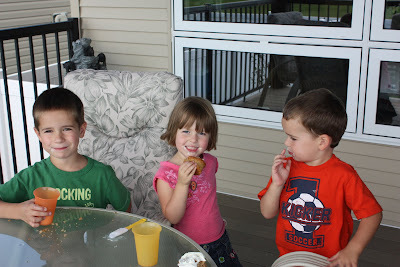 Last week we went to visit Jaden and Ethan at their house. 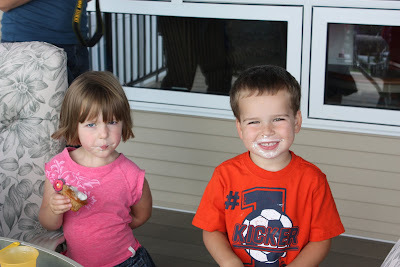 We had a great day playing in the yard, swimming at a local pool and enjoying a yummy lunch and cupcakes for dessert! 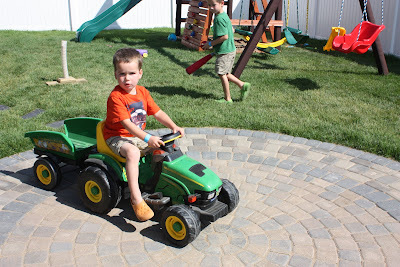 Jaden has a mini John Deere tractor that Levi loved! 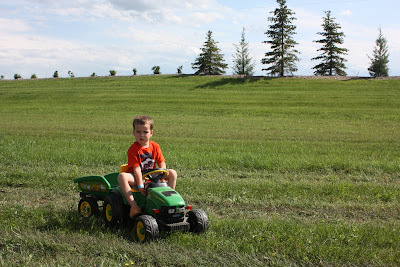 He rode it around the yard and in the field. Thanks Jaden & Ethan for a fun day!